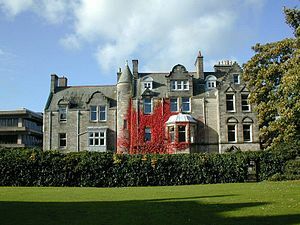 Transpositions is a collaborative effort of students associated with the Institute for Theology, Imagination, and the Arts at the University of St Andrews, voted runner-up as Best Newcomer Blog in the Christian New Media Awards 2010. On one level, transpositions connotes our goal to create conversations between Christian theology and the arts. Just like a musician might transpose from the key of B flat Major to C Major in order to create beautiful music with other instruments, we desire to transpose from the mode of theology to the arts and from the arts to theology in order to create meaningful resonances. Transpositions also brings to mind placing images and ideas of varying opacity over one another so that from particular points of view they appear to blend without distinction, creating a new form of beauty. On yet another level, transpositions suggests the nature of both art and theology as a transposition of divine reality into earthly form. As C. S. Lewis concluded in his brilliant essay entitled ‘Transposition,’ our glimpse of God through embodied transpositions and our taste of true reality in the present gives us hope that one day we will experience the fullness of beauty. Sara Schumacher (Editor): Prior to life in academia, Sara worked as a graphic designer in Oxford where her experience as an artist and a Christian raised many questions, ultimately leading her to pursue further study in theology and the arts at St Andrews. Sara holds a B.S. in Graphic Design and an A.A. in Cross-Cultural Services from John Brown University and has recently completed an M.Litt in Theology, Imagination, and the Arts at St Andrews. She is currently working on a PhD at St Andrews, focusing on church patronage of the arts. Sara was born American but has since added to her collection of nationalities and now claims Britain as home. Click here to view a list of Sara’s posts. Jim Watkins (Assistant Editor): Originally, Jim is from southern California and southeastern Texas, but sometimes he feels most at home in the landscape and coffee shops of the Pacific Northwest. He met his wife Emily at Wheaton College in Illinois, where he studied Studio Art (concentration in painting). Jonah, their first son, was born four years ago in Vancouver, Canada, where Jim studied Christianity and the Arts at Regent College. And Rowan (#2) was born less than a year ago, during the second year of his PhD, which examines the relationship between divine and human creativity from the perspective of divine kenosis. Click here to view a list of Jim’s posts. Anna M Blanch (Networking and Conferences): Australian by birth, and inclination, Anna grew up surrounded by the Australian bush, a large extended family, bush poetry, and sport. Anna is currently writing her PhD in Theology and Literature. She finds photography, enjoying her environment and its fruits, and being in community bring her joy. Anna can also be found at Goannatree, where she provides resources for Christian Scholars, muses about Theology & Literature, and reflects on her expatriate life. Click here to view a list of Anna’s posts. Jennifer Allen Craft (Book Reviews Editor): Jenn is from southwest Georgia (think swamp, red clay, peanuts, and gnats) and holds a B. A. in Biblical Studies and Humanities from Atlanta Christian College and an M.Litt. in Theology, Imagination and the Arts from St. Andrews. She is currently working on a PhD on the theological significance of place with special attention to the role of the arts in the way we make and identify with places. She lives in St. Andrews with her husband Brandon who is currently pursuing an MSc in Forestry. Click here to view a list of Jenn’s posts. Cole Matson: Born in Texas, Cole has lived in Virginia, New York, Maryland, and Oxford before beginning his PhD in Theology & Theatre at St Andrews. After graduating with a B.F.A. from NYU Tisch Drama, he worked as a professional actor and arts administrator before reading for a second BA in Theology at Oxford. His proposed dissertation is on the creation of a Eucharistic theatre, using liturgy as a model for building communion between artist and audience, and on the ethics of the artist-audience relationship. He enjoys geeking out about theatre, monasticism, and the Inklings at his blog, The Unicorn Triumphant. Click here to view a list of Cole’s posts. Wesley Vander Lugt: Before working on his PhD in theodramatic preparation and performance in St Andrews, Wes worked with Armonía Ministries in Mexico and as a youth pastor in Saint Louis, Missouri. He loves to help others discover how to realize their role in the drama of redemption, but he also enjoys exploring new places, hill walking, cooking, running on the beach, and photography. Besides contributing to Transpositions, Wes blogs at Theatrical Theology, reflections and reviews devoted to faith seeking performative understanding. Click here to view of list of Wes’s posts.